Fuel economy is something that is always on the mind of a new car buyer especially when gas prices begin to rise. We have researched the current top ten cars when it comes to fuel economy. Pure electric cars are excluded from this list for obvious reasons, however, hybrid cars will be featured. 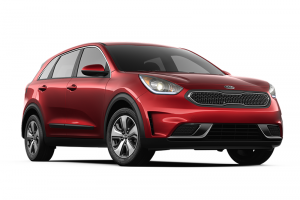 The Kia Niro FE is one of the most fuel-efficient subcompact SUVs. Not only does it boast an impressive fuel economy, but it also sports ample cargo space. On top of that, it features many of the amenities that modern cars have including Kia’s infotainment system with a 7-inch touchscreen, keyless entry, and rear back-up camera. At a starting price of $23,340, it won’t break the bank either. 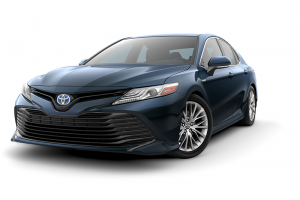 The Toyota Camry Hybrid LE was completely reworked in 2018, featuring an even more fuel efficient design. LE comes with the best mileage but the SE and XLE are no slouches either. The 2.5L 4-Cyl gas/electric hybrid engine is capable of putting out 208 horsepower making it one of the more powerful hybrids available. 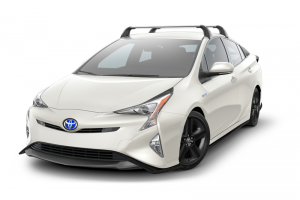 The Toyota Prius is what usually pops into someone’s head when they think ‘hybrid car’ and for good reason. It has fantastic fuel economy and has enough variations that there is a Prius for just about everyone. However, The Toyota Prius Eco has the best fuel economy of the none plug-in Priuses. When most people see this car they ask themselves if the color really adds more to the fuel economy. In this case, it does, featuring a near 60 mpg from its hybrid powertrain. This makes it one of the most fuel-efficient cars without needing to be plugged in. The Hyundai Ioniq Blue does come in other colors including Ceramic White, Symphony Air Silver, Summit Gray, and Black Noir Pearl. Here are where the PHEVs (Plug-in Hybrid Electric Vehicles) begin. 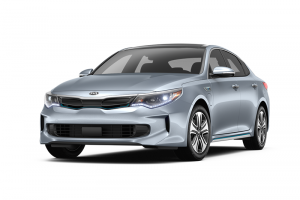 The Kia Optima PHEV is capable of going 29 miles without needing any assistance from its 2.0L Gasoline Direct Injection engine. During deceleration, regenerative braking uses that kinetic energy to recharge the electric motor’s battery, allowing for increased fuel economy. 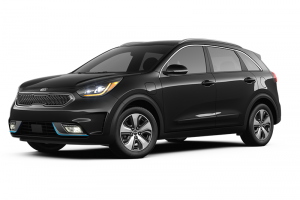 The Kia Niro PHEV makes the list again with its PHEV model. Featuring many of the same benefits as its FE counterpart, the PHEV has a plugin that allows the engine to draw less on gasoline. It is capable of going 26 miles by using the power of the electric motors alone. 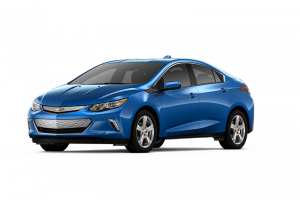 Chevy Volt was one of the first entries into the PHEV market and still holds up. The 2018 model allows for 53 miles on the electric motors alone, with an additional 420 miles when the battery has a full charge and the tank is full. Regenerative braking has been implemented to recharge the battery while the car is braking. 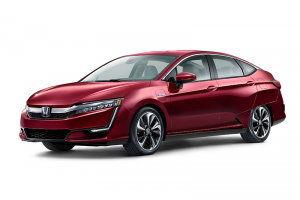 The Honda Clarity clears its way into the top 3 with its impressive 47 miles using electric motors alone. Every Honda Clarity comes with Honda Sensing, an intelligent suite of safety and driver assistive technologies. These include features like the Collision Mitigation Braking System, Adaptive Cruise Control, and Lane Keeping Assist System. 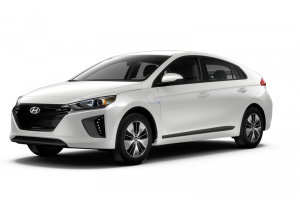 The Hyundai Ioniq makes it on the list a second time with its PHEV model. Its hatchback design allows it to have more storage space that than most of its competitors. It features many of the same comfort features as other models including leather seats. 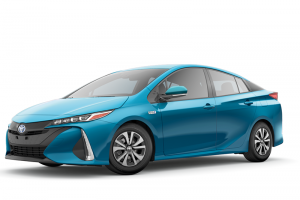 Boasting an impressive 133 mpg-e the 2018 Toyota Prius Prime tops our list as the most fuel-efficient hybrid. It can run off its two electric motors for 25 miles without assistance from the 1.8L gasoline engine. However, the hybrid powertrain offers a range of 640 miles between charges and fill-ups. If any of these vehicles caught your eye, be sure to visit the FamilyDeal.com and take a test drive in one of the many hybrids on offer.